Oscillating motion far better than conventional orbital motion. Hence suitable for cutting and precision carving. Head of die-cast zinc, ensuring exact and stable housing for the moving parts. Sanding area 2 1/2" x 2 1/2" x 2 1/2" (65 x 65 x 65mm) with hook & loop pads allows quick changing. Uncompromised safety from class 2 insulation. For sanding surfaces in very tight spots, e.g. corners, sides and in-accessible areas. 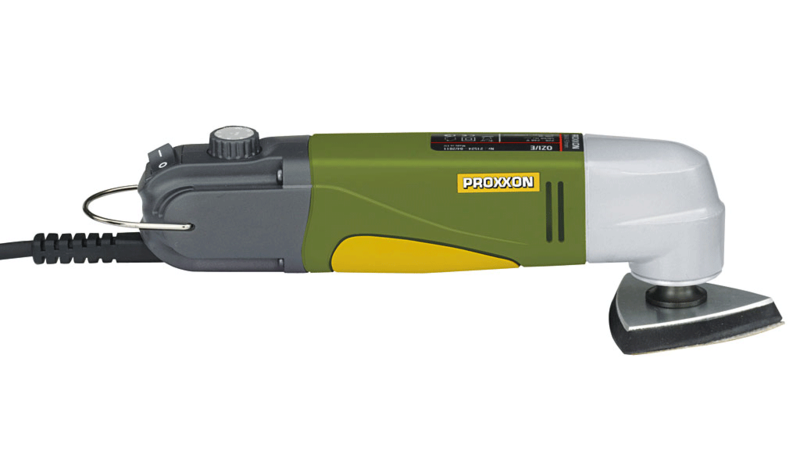 The oscillating motion ensures quiet operation and also facilitates cutting, plunge cuts and filing ! The variable speed ensures the correct speed for every material. 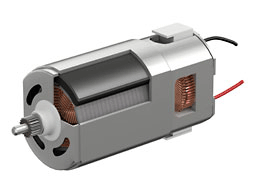 Special, balanced, low noise DC motor with high life expectancy. Main housing of glass-fibre reinforced POLYAMIDE. Complete with 4 sanding discs (2x 80 grit, 1x 150 grit and 1x 240 grit). Comes in an attractive case, as described on the right. Speed 3,000 - 10,000 oscillations/min. The oscillating motion ensures lack of vibration and kickback and allows the fitting of cutting blades too! This set comes in an attractive storage case of high-grade PP complete with 4 sheets of sandpaper (2 x 80 grit, 1 x 150 grit, 1 x 240 grit). High durability aluminium oxide pads. Deposited on special backing paper. Hook & loop type. Operation as described above for the HSS blade. Cuts marble, bricks, dry wall and many other materials. Ideal for interior finishing and sanitary and electrical installation. For exact square excavations and other forms. For making hatchways and windows in ship and aircraft models. Cuts wood, ply-wood, plastics and aluminium. Max. plunge depth 16mm.